Located on the Albert Edward summit plateau. 1 km S of Moat Lake. 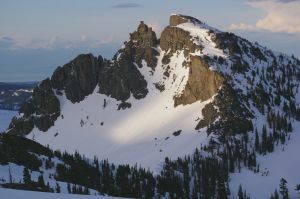 The peak gets its name from the craggy north side. It is a familiar landmark from hiking trails to Moat and Circlet Lakes.